Police are crediting a woman’s pet parrot for staving off an attacker in a London park late last week. 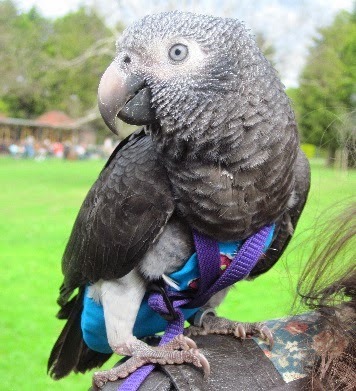 According to the Times-Series, Wunsy, an African Grey parrot, had just finished taking a “walk” with his owner, flying alongside her in Sunningfield Park in the suburb of Henden, when an unidentified man approached and pushed her to the ground. But before the assault could escalate into something much worse, the brave bird came to her rescue by flapping his wings and squawking at the assailant -- enough to send him running. Fortunately, neither Wunsy nor his owner were injured in the assault.